PHILLIPSBURG – Caribbean Aviation Attorney, Bryan P. Winters, will present a lecture entitled, “Why and how airlines, resorts and tourism boards should cooperate for a common goal” during the 2nd Annual Caribbean Aviation Meetup in St. Maarten, June 13 - 15. Bryan will be sharing lessons he has learned from his 17-year career as an aviation and tourism attorney and consultant practicing throughout the Caribbean and the tourist-rich market of the United States. 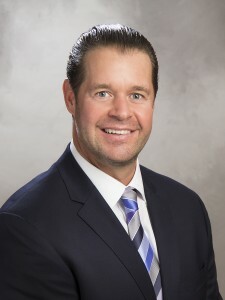 He is a Shareholder attorney with the Aero Attorney Group, an international aviation law firm, and President/Founder of the Aero Advantage Group, a transportation consulting company. Bryan holds a Bachelor’s of Science Degree in Economics from the Warrington College of Business at the University of Florida, a Juris Doctorate Degree from the University of Miami where he emphasized Caribbean commercial law through his exchange program coursework at the University of the West Indies – Cave Hill Campus in Barbados, West Indies and a Legal Education Certificate conferred by the Caribbean Council of Legal Education following the completion of his second law degree at the Eugene Dupuch Law School in Nassau, The Bahamas. The 2nd Annual Caribbean Aviation Meetup conference differs from most other events, because it puts the emphasis on experience exchange, interaction and participation, rather than on listening to speakers' or companys’ achievements. It is the perfect opportunity for face-to-face business discussions and comprehensive group opinion exchanges on sector-specific topics. The result is a proactive platform upon which successful networking can be built. It will provide impulses for new business developments and industry investments. It will accommodate a new attitude towards positive development and impact of airlift. Twenty-seven speakers from as far away as New Zealand are contributing to the program that will be followed by participants from twenty-nine countries and territories. The conference will be held June 13 - 15 on St. Maarten and is hosted by Princess Juliana International Airport. (www.caribavia.com).